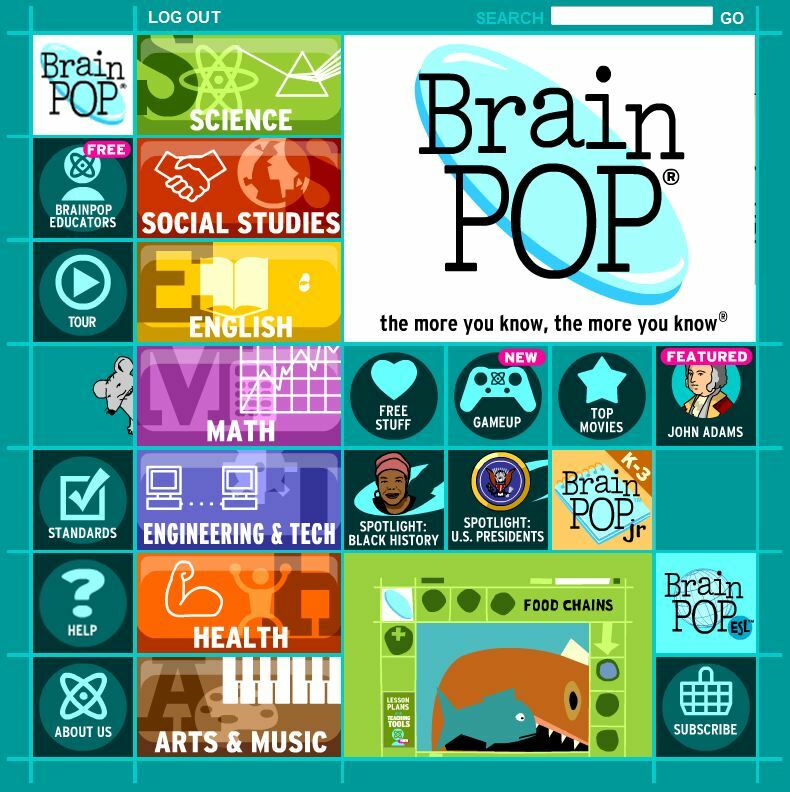 Targeted at grades 3-12, BrainPOP offers short animated films on a variety of topics such as: science, social studies, English, math, engineering & tech, health, and arts and music. Students may also take quizzes, do activities, play games, and view related videos. BrainPOP Jr. is also available for students in grades K-3 and for a Spanish Language version, see BrainPOP Español. There is also a free teacher community, BrainPOP Educators, with a blog, lesson plans, Common Core standards, webinars, tutorials, and many other helpful resources.